We live by the unspoken creed that teaching is, well, not really what one is supposed to be doing. Conversely, doing a lot of teaching is construed as a sign that one is not doing well. This perverse reasoning leads scholars to conjure up all manner of strategies geared to evading the lectern and maximizing undisturbed research time. In their ingenuity and inventiveness, these tactics have the quality of grift. Teach or Perish – The Chronicle Review – The Chronicle of Higher Education. Wow! Judging from my Facebook stream, yesterday everybody was Charlie Hebdo. Today, nobody is Charlie Hebdo. Today’s line goes like this: “These killings were terrible, of course. But those cartoons were disgusting! They are racist, sexist, anti-religious, and generally obnoxious. I cannot associate myself with that.” But the “that” that we were associating ourselves with yesterday was not the content – most people didn’t know the content, I’m sure – but the freedom to express your opinion, whatever it might be, without fear of being murdered for it. Back-pedaling today suggests you think that maybe just a little bit they had it coming. In this world, with those kind of people in it, if you have a view at all, you are Charlie Hebdo to someone. Yet again, an epic fail by extremists. Now we all know about Charlie Hebdo. Now we all have seen their cartoons (and sometimes even laughed at them). Now we are less circumspect about how the authorities deal with these murderers and their ilk. As I write this, two of the perpetrators (at least) remain at large. They will be caught and probably killed. Lots of other people will likely be injured or killed as well. Muslims, largely unfairly, will be mocked by cartoonists and humorists and a sea of wanna-be comedians at an increasing rate. And when they are not, they will be increasingly objects of suspicion and even hatred. How is any of this anything other than complete failure? 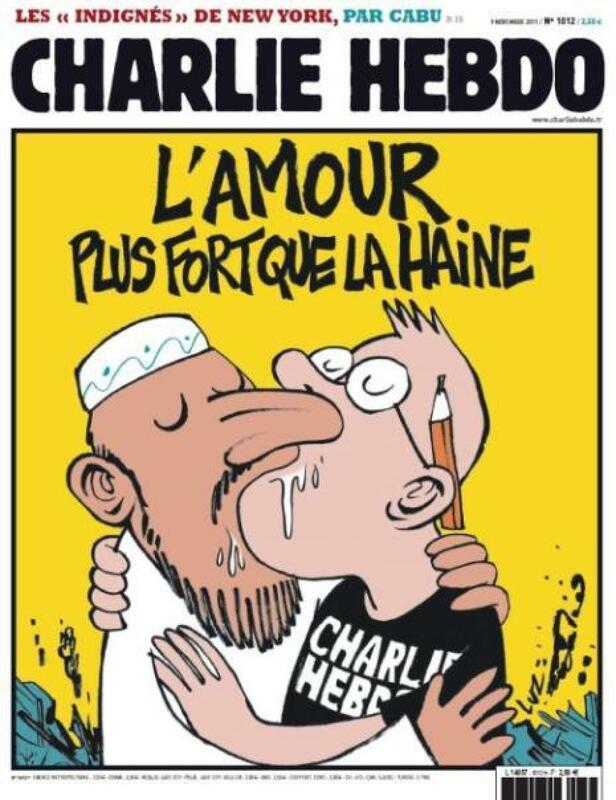 I looked at some of the cartoons in Charlie Hebdo, a publication about which I was previously unaware. I have to say that a lot of the cartoons I saw were fairly disgusting. I can easily see how many people would be offended by them. But however little I like vulgar, offensive, juvenile attempts at humor, I like humorless, violent, extremist, willfully-ignorant ideologues even less. Much, much less. How many of the world’s crises are due, in the end, to a lack of a sense of humor? Seriousness kills. Well, a lot of the time, anyway. My condolences to the family and friends of the victims of this senseless attack. I am so sorry for your loss.